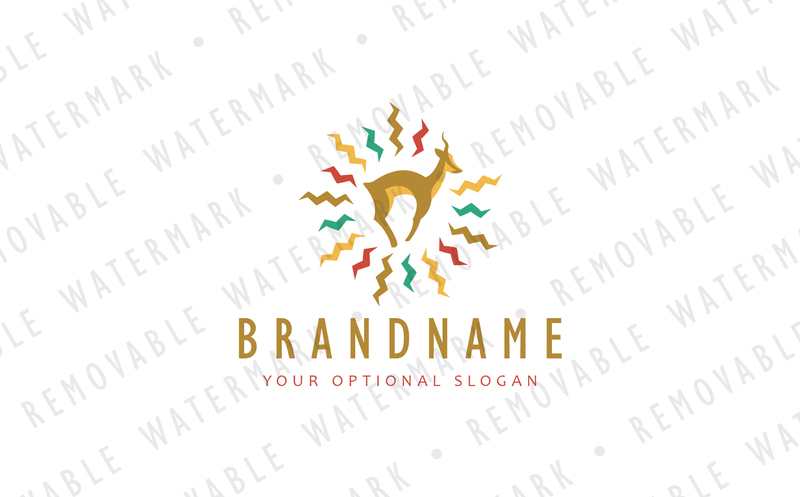 Logo template with idea of jumping springbok, antelope or gazelle surrounded with circle of warm sun rays. Gazelle or antelope symbolism is commonly associated with awareness, speed, grace, agility, resilience, cooperation or happiness. Theme can be interesting for zoo gardens, spa or wellness resorts, veterinary clinics, charity, outdoor, environmental or travel companies, life coaching services, photographers and similar.